In order for a newborn baby to thrive, they need to have one secure attachment with an adult. This attachment, whether it be a parent, grandparent, or other caregiver, is the basis of all future learning and relationships for the child. The connection to their “safe person” is what makes a child feel secure enough to explore the world. When a child is spanked, their attachment bond is damaged. The one person who is supposed to be safe, steady and dependable is now seen as unpredictable and unstable. This can lead to an insecure attachment relationship, which can be an indicator of future problem behaviors and conditions. We spend hours upon hours teaching young children to avoid aggression by “using their words,” “taking deep breaths,” or “taking a break.” We reprimand children for hitting or kicking out of frustration or anger. We teach them that there is a better way to solve conflicts. But the minute that a parent spanks their child out of anger or frustration, all of this teaching goes out the window. The parent has just taught the child that it’s alright to use physical force and act on your impulses. If we teach our children that it’s never okay to hit, then the rule must apply to us as well. I know what you might be thinking… but what if I don’t spank my child out of impulsivity. I am always calm and collected. If this is you, I urge you to think about how spanking is teaching your child to not repeat their actions in the future. If the answer is “because they don’t want another spanking,” then skip down to the section below, Spanking creates fear and intimidation. When it comes down to it, spanking doesn’t teach your child how to be in the real world. In the real world, privileges get taken away when you do something wrong. If you get a DUI, you get your driving license suspended. If you commit a crime, you pay a fine. We need to teach kids that there are consequences to their actions…but spanking is not needed to teach them this lesson. It’s a natural human response to avoid pain and discomfort, so children will do anything (even lie) to avoid being spanked. Parents use spanking as a fear tactic to make their child less likely to misbehave. What they don’t realize is that the fear they have created has cut off open communication with their child. The child is afraid to go to their parent for help for fear of being punished for doing something wrong. It’s as simple as this: the more your child fears punishment, the less likely they are to be honest with you. Any form of discipline ultimately has the same goal: to encourage the behavior we want to see and discourage the behavior we don’t want to see. There are so many ways we, as parents, can promote positive behaviors without using physical intimidation. Your child is always looking to you to see how they should react in a given situation. If you fly off the handle at the first sign of adversity, so will they. The single most important thing we can do to teach our children to be calm, respectful, and considerate is to be those things ourselves. It’s easier said than done. If you ask any parent what is the one thing they wish they could improve upon when it comes to their kids, the answer is probably patience. Our children know exactly how to push our buttons. But it helps to just be aware of how our actions shape the way our children will respond to different situations. It gives us a different perspective. We are able to apologize when we’ve reacted in a way that we didn’t like. The door is opened to conversations about how adults make mistakes too, about how we are all learning and growing. When you recognize that you are getting upset and frustrated with your child, walk away and calm yourself down before deciding what their consequence for their behavior will be. Not only does this give you a chance to really think about what kind of punishment is warranted, but it also models for your child the importance of calming down before reacting. Misbehavior is communication. Think about what your child is trying to tell you when they are misbehaving. Are they tired? Hungry? Needing attention? Just as babies cry when they need something, children misbehave when they have needs that aren’t being met. If you think of your child’s misbehavior in this way, you can begin to teach your child to communicate their feelings in a helpful way. You’d be shocked at how well this approach works. As soon as you pinpoint the reason behind the behavior you can address it head-on. Some parents say that taking away privileges as a method of discipline doesn’t work for their child. If this is the case, there are two possible reasons why: 1) the privilege is not motivating enough, or 2) the child is trying to gain a feeling of control over the situation by pretending not to care. If your child falls into the first category, it’s time to get creative to figure out the best motivator. Some kids could care less about desserts or TV time, but look forward to other activities such as a special weekend outing. Think about how your child chooses to spend their free time. This is usually the best place to start. Let’s say you have tried everything, and your child simply doesn’t care. Chances are they fall into the second category. Your attempts to take away privileges feel like a control tactic, and they push back in the only way they know how: by pretending not to care. If this is the case, it’s time to mix things up. Instead of threatening to take away privileges for unwanted behavior, start pointing out your child’s positive behavior (no matter how small) and reward them with an unexpected privilege. The child starts to feel good about themselves for choosing to obey on their own, and their need for control is met. Positive experiences build on each other and your child will be more likely to obey you in the future. I love this post! Thank you for putting a well researched argument out there. I was spanked as a child and honestly don’t think it harmed me. Living with my family for a year with two toddlers, I felt so much pressure to discipline and have spanked them some. Now as I’m discovering positive parenting and implementing it into my parenting, the results are amazing! My older son especially has responded so well to it. People still think I’m passive and permissive but I personally feel we’ve made great progress and am resolved not to use physical discipline in this way in the future! This article really reinforced that for me. Thank you so much! It can be really hard to break the cycle of parenting our children the way we were parented growing up, but so rewarding when we do. 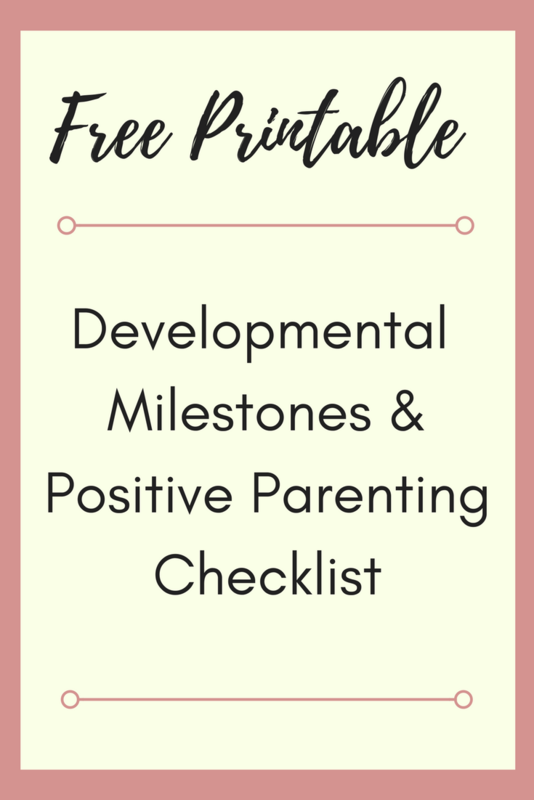 I’m thrilled that you are seeing great results with positive parenting!